In 2014, with the support and encouragement of Governor Matthew H. Mead, the Wyoming State Legislature allocated $15 million in funding for the design, construction and operation of an integrated test center to study the capture, sequestration and management of carbon emissions from a Wyoming coal fired power plant. An additional $5 million commitment from private industry was required under the appropriation, which was secured from the Tri-State Generation and Transmission Association in addition to $1 million pledged from the National Rural Electric Cooperative Association. Basin Electric Power Cooperative is providing the host site as well as many additional in-kind contributions including engineers and construction management services. In October 2015, Governor Mead announced that the ITC would be built at Basin Electric’s Dry Fork Station near Gillette, Wyoming. 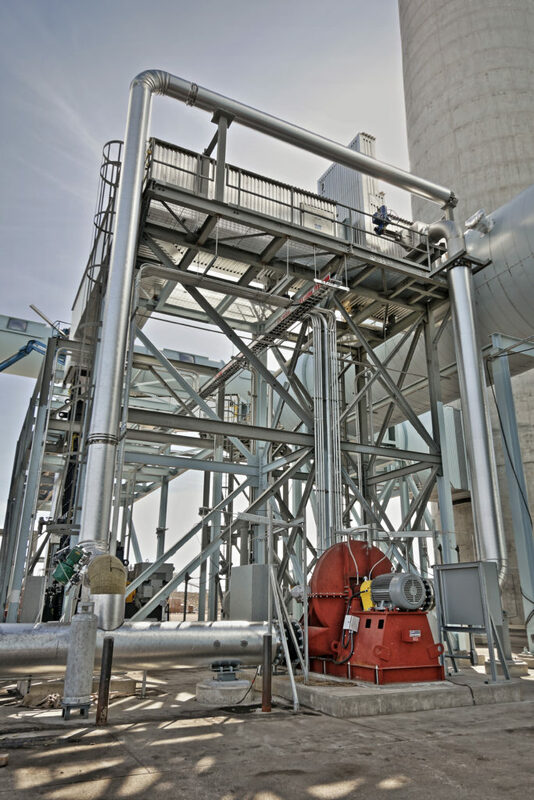 The Dry Fork Station is a state of the art coal-fired power plant operated by Basin Electric Cooperative, Powder River Energy’s wholesale power provider. The ITC was officially dedicated in May of 2018. The ITC provides space for researchers to test Carbon Capture, Utilization and Sequestration (CCUS) technologies using 20 MW of actual coal based flue gas. Along with testing capture technologies, additional research will look at taking flue gas and turning it into a marketable commodity. The research at the ITC will lead to new opportunities in petrochemicals as well as other commercial uses of carbon dioxide. Research at the facility will help ensure the viability of the coal industry, which supports jobs, local and state economies and keeps electricity prices low for millions of people around the globe. The ITC is one of a handful of such facilities around the world and only the second one in the United States. While many carbon capture technologies are being developed and studied in laboratory settings, the ITC is one of the few research and testing facilities at an operating coal-fired powered plant. Laboratories cannot mimic the real world conditions of a functioning coal-fired power plant. The ITC allows for real world testing at an active power plant and alleviates typical concerns over being able to transfer technology from a lab to a plant. The Wyoming Infrastructure Authority currently manages the ITC.